Northern Ireland star Chris Brunt’s Euro 2016 dream has been “shattered” after learning he will miss this summer’s tournament with a knee injury. Brunt was stretchered off during West Brom’s 3-2 victory over Crystal Palace last Saturday. Results from scans are expected to reveal that the 31-year-old suffered cruciate ligament damage – ruling him out for the rest of the season and this summer’s European Championship finals in France. 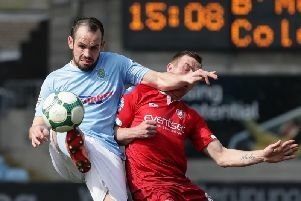 It is a devastating blow for Brunt who was a prominent feature in Michael O’Neill’s side during a mesmerising qualifying campaign. Brunt has earned 54 caps for his country, and was looking forward to adding to that tally in France. West Brom team-mate Jonas Olsson said: “It is a shattered dream for him not to be able to represent his country in the Euros.